Struts vs Shocks – What are the Differences? Struts vs Shocks: What are they, and what are the differences? When it comes to cars, it’s easy to get confused. With so many working parts, it can be hard to keep track of what’s what and know what needs to be fixed when something goes wrong. It gets even trickier when parts that look similar also have similar functions. That’s why one of the most common areas of confusion is the question of struts vs shocks. It’s not obvious what the differences are between the two, and many people use the terms interchangeably. 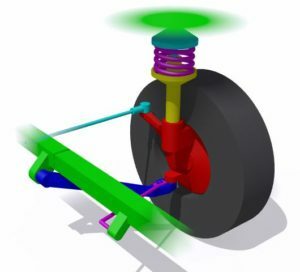 Our goal in this article will be to compare struts vs shocks, outline a few of the key differences, and hopefully leave you with some advice that will help you down the road. Struts vs Shocks: Are they Interchangeable? Although struts and shocks look a lot alike and are situated in the same area of the vehicle, it’s important to remember that they’re not the same part, and each functions a bit differently from the other. Both shocks and struts are part of a car’s suspension system and serve the same overarching purpose of dissipating energy from the coil. However, they have key structural differences. Unlike a shocks, struts actually serve as a structural component of the suspension system. This means that they’re weight bearing, and can also affect steering and the vehicle’s alignment. When you go in to have your struts replaced, you’ll probably get an alignment because parts that are removed during strut replacement can also affect the car’s alignment. Shocks, on the other hand, are not weight bearing and not a structural component of the suspension. Shocks also tend to be lighter and less obtrusive than struts. Struts actually replace the ball joint and upper control arm components that are present in traditional suspension systems, with the exception of most luxury models, which have struts and retain their ball joints and control arms. These differences are important, because whichever type of automobile you drive, it will be built to have one or the other, or have struts on the front axle and rear axle. Generally speaking a car built with struts can’t have it’s struts replaced by shocks, and vice versa. Just as they’re similar in what they do, struts and shocks are similar in how they get the job done. Both shocks and struts use a piston and hydraulic fluid system to dissipate the energy absorbed by a vehicle’s springs. Shocks and struts work to slow this force down by pushing the hydraulic fluid through small holes at the other end of the cylinder. This action allows the energy to be dispersed a controlled manner. The harder the force that is initially absorbed, the more recoil the strut or shock will provide. As with any integral automobile part, it’s important to replace shocks and struts that have begun to wear out or are otherwise no longer working properly. Struts and shocks generally have a fairly long lifetime, with typical manufacturer struts averaging in the 50,000 mile range. For most automobiles, this means only having to get these parts replaced a few times, at most. 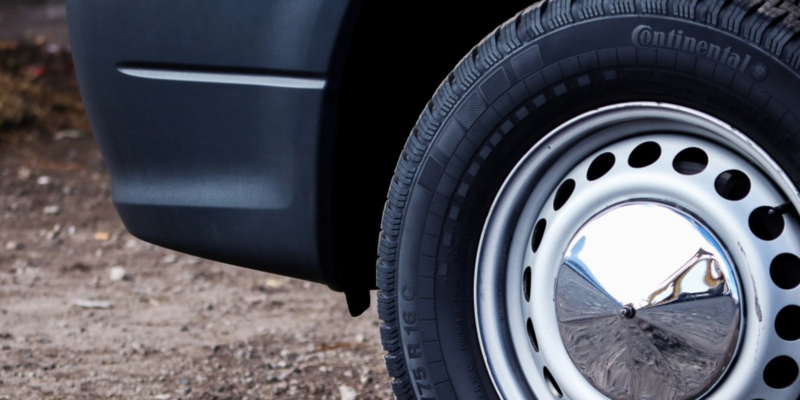 Some manufacturers even say that the struts on their vehicles never need to be replaced. However, when it does come time to replace your struts or shocks, you’ll want to be proactive. There are some tell tale signs that your struts or shocks may be due for a replacement. If you’re experiencing these problems, we recommend bringing your vehicle into a local technician. Mileage: As mentioned above, keep an eye on the miles logged with your current struts or shocks. If it’s been significantly more than 50,000 miles, you may want to ask your local technician if a replacement is in order. When finally comes time to replace your vehicle’s struts or shocks, be sure to take it to a trusted technician with experience replacing shocks and struts. They’re a vitally important component of your vehicle, and should be treated with care and attention to detail. If you’d like to learn more about shocks and struts or think you might be due for a repair, we’d like to help you out. More information can be found on our shocks and struts service page, and you can fill out a form or give us a call to speak with one of our helpful technicians.